Q: We use natural wood in many of the outdoor displays. Which species are most resistant to water damage? What kinds of finishes can be used that will best protect outdoor wood? A. When using wood outdoors, especially when the wood is exposed to rain or other water and exposed to sunlight, there are three main issues: 1) size change due to varying moisture content (includes weakening of fasteners); 2) color changes in wood or finish caused by UV light mainly; and 3) fungal growth including mold, mildew and decay (rot) fungi. A fourth factor could be finish issues including discoloration and peeling. So, the requirements for an exterior finish are that it is totally waterproof (to liquid water); that clear finishes have UV absorbers so that color changes in wood are slowed; that the finished wood product does not collect dirt and microorganism that act as food for fungi or hold the water that fungi need for growth; and that the finish itself is not affected by the environment. Unfortunately, I am not aware of a clear finish that is perfect, but some opaque, film forming finishes might be. Basically, we need to set our priorities. You can decide, but top on my list is that the finish is waterproof followed closely by the requirement for a long-lived finish. UV absorbers are usually not clear enough for clear finishes. I am not certain if such a perfect clear finish exists, but it could be that some waxes might do fairly well. This is a good question for the finishing forum. With this information, you can appreciate that anything we can do to remove any water during and after a rain is really helpful. This would include having surfaces sloped and maybe even having some drain holes if puddles form. Avoid joining two pieces of wood that will essentially trap water in the joint. Also avoid having a fastener hole or cracks that will allow water to flow inside the wood pieces. Therefore, any waterproofing treatment should be applied to fastener holes, cracks and drain holes before use. 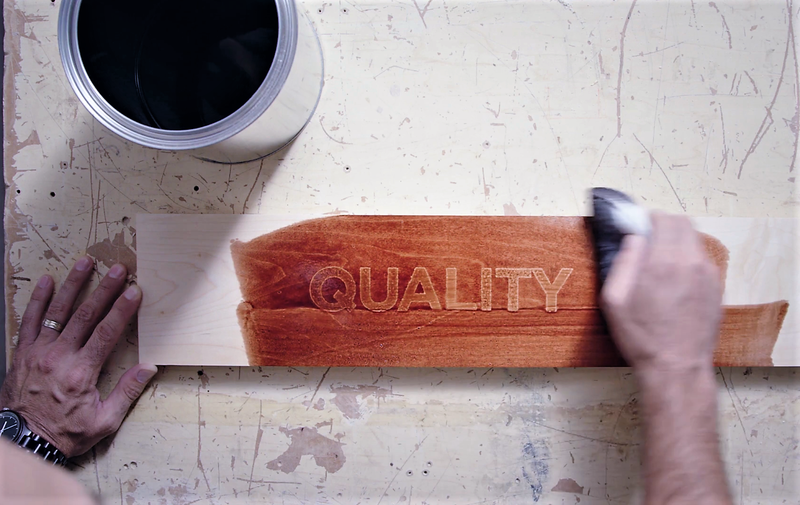 With respect to ideal wood species, none are especially noted as being waterproof. 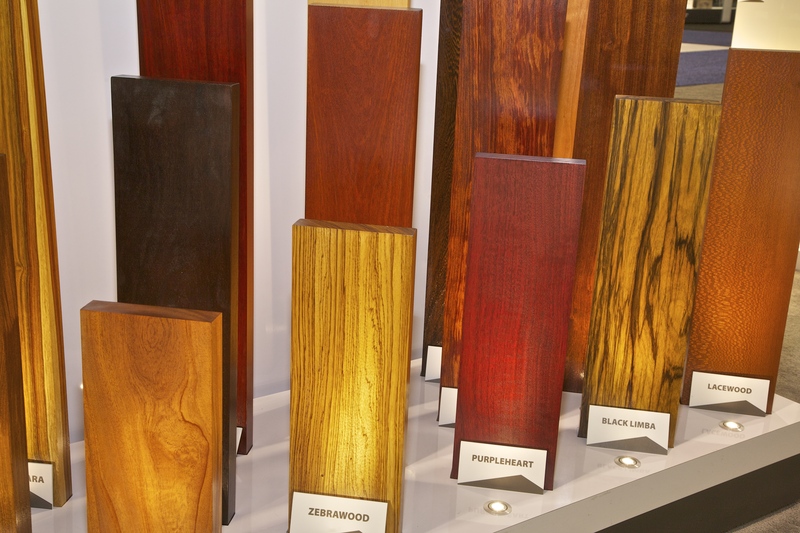 All are affected by UV light, with light colored woods turning darker and dark colored woods looking bleached. This light effect is especially a problem when some of the wood has minimal exposure to light and other parts are fully exposed -- big color difference. However, some species are known to be resistant to decay fungi and insects due to natural insecticides and fungicides in the wood. 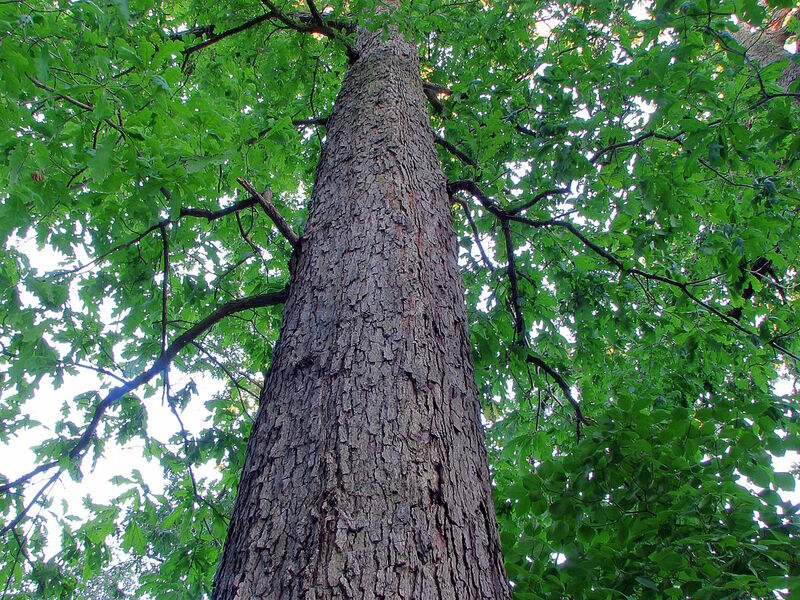 Some of the best North American species for natural resistance are black locust, red mulberry, Osage-orange, Pacific yew, old growth bald cypress, catalpa, all cedars, all junipers, mesquite, white oaks, old growth redwood, sassafras and black walnut. Some common imported hardwoods with good resistance include ipe, old growth teak, Honduras mahogany, African mahogany, sapele, old growth teak, and Spanish cedar. In the past, western red cedar and teak have certainly been widely used for outdoors. In all cases, it is the heartwood (colored in most species) and not the sapwood (white in all cases) that has the decay and insect resistance. In addition to insect and decay resistance, many of these species do not shrink and swell as much as other species. Recently, we are seeing some heat treated woods and some wood treated with acetic acid that modify the wood properties and supposedly perform well in some outdoor situations. We also have some woods pressure treated with a chemical wood preservative (fungicide and insecticide) along with a water repellant…maybe the best choice of all, except for the caution in handling and working with such wood (especially dust).